You are at:Home»Florida Tech Bound»Career Spotlight: What Do Organizational Behavior Analysts Do? Career Spotlight: What Do Organizational Behavior Analysts Do? 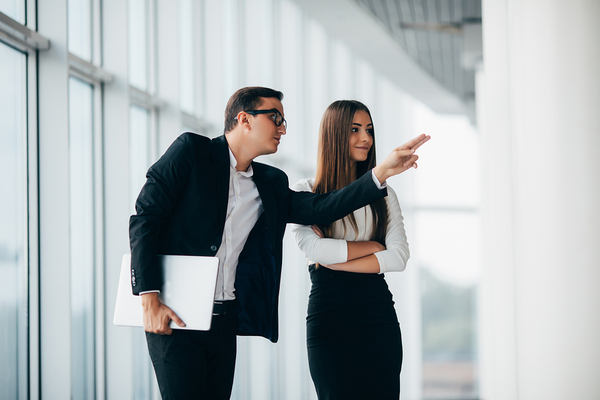 Organizational behavior management is a branch of applied behavioral analysis that has the goal of shaping workplace behavior to meet objectives like a safer workplace or greater productivity. The goals of OBM are specific changes, and the focus is on what environmental factors influence problematic behaviors and how they can be changed in concrete ways. Following is some more information about organizational behavior management career outlook and techniques used by OBM professionals. Organizational behavior analysts can help to ensure that medical safety procedures are followed more closely. Like in ABA, an organizational behavior analyst uses the ABC method to figure out the causes of problems in the workplace. By looking at the antecedent (what came before the behavior), the behavior itself, and the consequences of the behavior, it’s easier to see all the factors influencing the situation and what can be done about it. The next step is to pinpoint exactly what behaviors need to be or can be changed. Making a checklist can give workers a way to self-monitor the desired behaviors and whether they are being successfully modified. Observation is an important part of OBM because it helps the analyst give helpful feedback and build systems that can reinforce positive behaviors and eliminate negative ones. Psychological principles are used in this process to identify behavioral antecedents as well as what would motivate people to change. Observations by people other than the analyst are also considered valuable in OBM because they provide a more comprehensive view. Analysts often work as consultants to help change employee behaviors for the better. One way OBM was used in the workplace was to reduce the incidences of VA patients contracting new infections while being treated at a VA hospital. A program was put in place to get staff to comply more closely with existing protocols to prevent infections, including MRSA which could be long-lasting or even deadly. Between 2007 and 2012, MRSA infections dropped by almost 70 percent and were lower than many private healthcare systems, even though the VA patients were generally older and sicker than the general population. In a way, traditional management techniques have successfully used major tenets of OBM including providing consistent feedback and positive reinforcement for desired behaviors. At this time, OBM is vastly underused in workplaces, as decision-makers have mostly not heard of it. Many employers remain unaware of its possibilities in bringing about desired behaviors among employees with high degrees of accuracy. The field has had steady growth in recent years, though, particularly in health care and other fields where specific behaviors are needed for safety and efficiency. While ABA therapists usually work one on one with children who need intensive support and behavioral management and their parents, organizational behavior analysts are typically consultants that don’t engage directly with employees, but put systems in place that will bring about the desired behaviors. Florida Tech offers an accredited master’s degree in organizational behavior management that prepares students to consult and practice in business environments. Learn more about our organizational behavior management degree today! You can also stay tuned for our next blog which will discuss the autism career outlook in the coming years.